﻿ Dysart Woods - Ohio. Find It Here. Dysart Woods, a 50-acre tract of old-growth oak forest, is the largest known remnant of the original forest of southeastern Ohio. Some of the spectacular oaks that you will see are 400 years old, stand over 140 feet high, and have a diameter of four feet. The woods are located in un-glaciated southeastern Ohio. This area is characteristically hilly with local relief exceeding 200 feet. The sedimentary bedrock in the region is composed mostly of sandstone and shale, with coal seams occurring variably from near the surface to hundreds of feet underground. The rainfall and temperature conditions are well suited for deciduous forests.Dysart Woods exists today as an old-growth forest because several generations of the Dysart family kept it in its natural state. The splendor of the forest, formely enjoyed by only a few, now has become available to many. 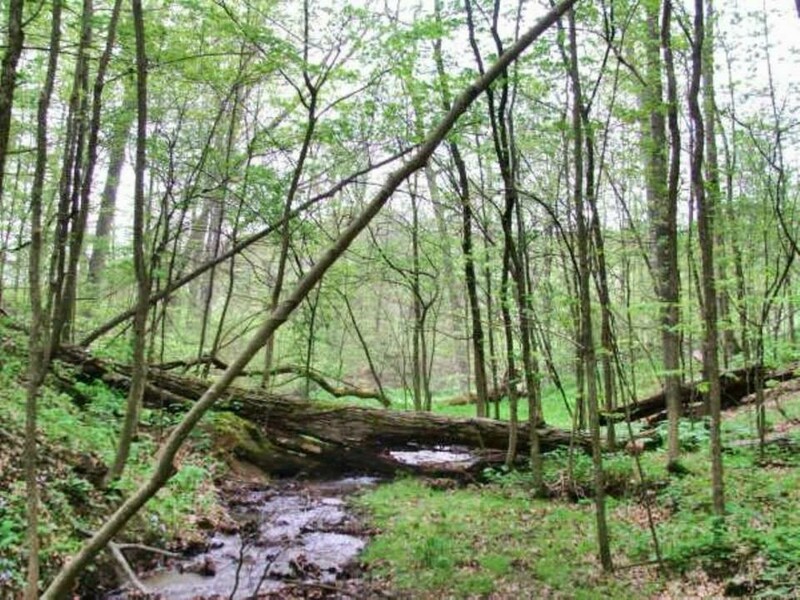 Ohio University, by agreement with the Nature Conservancy, has undertaken the responsibility of preserving this outstanding remnant of the magnificent forests the once covered much of Ohio and eastern United States. The recognition of Dysart Woods as a National Natural Landmark by the U.S. Department of the Interior underscores the importance of preserving it.